John Varvatos Artisan Black is perfect for men who love luxury black suits. 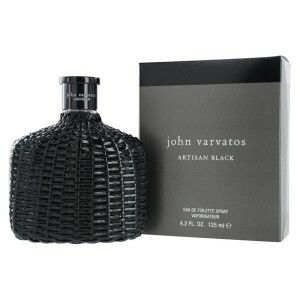 John Varvatos Artisan Black 125ml. Eau De Toilette is clearly a men's perfume, which conceals a unique mystery. Spicy and fruity fragrance envelops you in a jiffy and accentuate your personal charisma. Black Artisan fragrance is perfect for confident men who know what they want from life and is not afraid to go for it. Breathtaking sensuality perfume perfectly catches the attention of all women. Top notes of fragrance John Varvatos Artisan Black chords are formed by refreshing lemon Amalfi, exotic orange, tangerine, dancing and sweet watermelon. At the heart of oriental scent of orange blossoms you will find that perfectly blends with precious neroli and warm ginger. Spicy mix of intense cardamom and coriander intoxicating perfectly balances the silkiness of pure jasmine. An interesting conclusion fragrance is the folding of warm wood, sunny amber, smooth leather and exotic patchouli. Sensual musk perfectly intertwines with fresh vetiver. Delve into the mysterious fragrance John Varvatos Artisan Black, which is specially designed for all charismatic man with an eye for detail. Perfume perfectly your charm and catch your surroundings. This scent Artisan Black is particularly suitable for wearing in the fall or autumn. The warm aroma of perfume from the brand John Varvatos will operate in cold weather very attractive and passionate impression. The main idea of the creator of the male toilet water John Varvatos Artisan Black - combine in one flavor strength, success, attractiveness. Young people are willing to open up, forge ahead towards agreed goals and win. Perfume dictates free, business, rich lifestyle. Fern fragrance John Varvatos Artisan Black bears exciting notes of rare essential oils. The popular scent refers to luxury perfumes. The owner of the toilet water definitely like women. Passion, love, uninhibited sound in every drop of flavor. The incredible fragrance of lemon, tangerine and blood orange excites and makes the heart beat faster. Fiery dance of jasmine, orange blossom, neroli, ginger, green cardamom and coriander turns into a whirlwind of new feelings. The women turn men after a tantalizing trail of vetiver, patchouli, iris root and leather. Eau John Varvatos Artisan Black - it's a small miracle that can on an embodiment of great opportunities! Rate this man, it will only benefit!